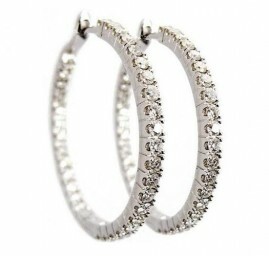 One pair of 14k white gold diamond hoop earrings. 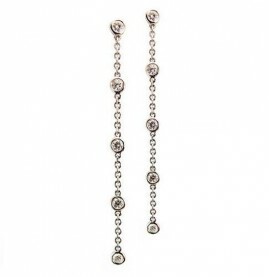 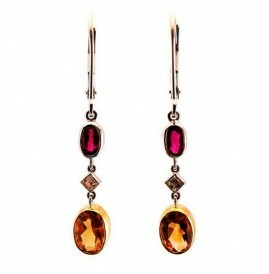 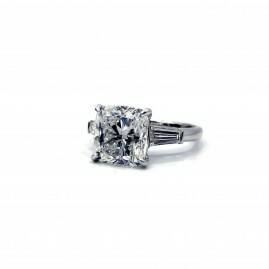 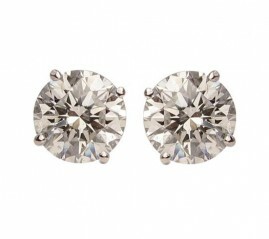 The earrings contain 12 diamonds weighing approximately 0.68ct total weight, F to G in color and SI2 and I1 in clarity. 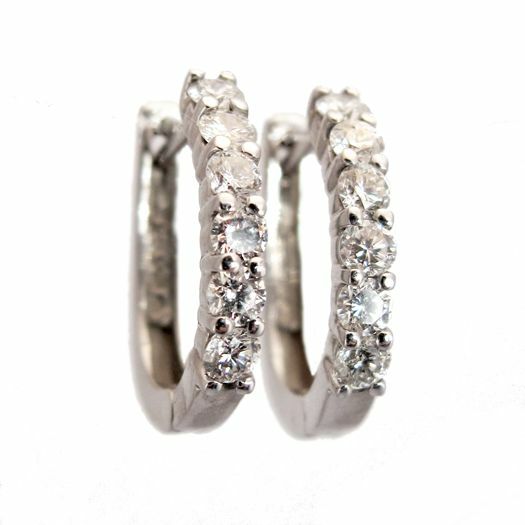 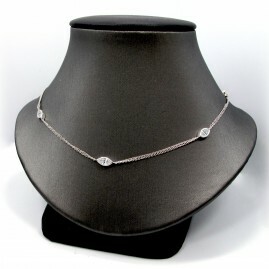 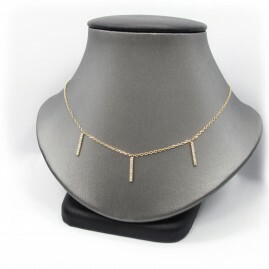 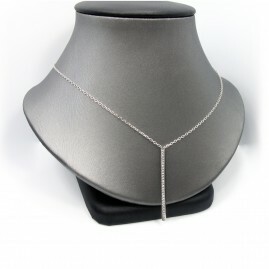 The diamonds are set in a shared prong style going halfway around the hoop.